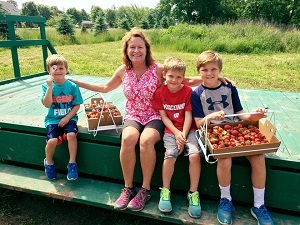 Greenbay area of Wisconsin Greenbay area of Wisconsin U-Pick farms: Find a pick your own farm near you in Greenbay area of Wisconsin for fruit, vegetables, pumpkins, organic foods,local produce and more! Looking for a local, pick-your-own farm in Greenbay area of Wisconsin? Scroll down this page and you will see the U-Pick farms in Greenbay area of Wisconsin, sorted by county. Those that offer organic or sustainably grown produce are identified by the words "organic" and/or "sustainable" in Green, next to their name (see "What does Organic mean?"). The U-pick crops they offer follow the name of the farm. To search the page for a specific crop, use Ctrl-F (or on an ipad or Mac, use their "search on this page" function) If they have a website, the name will be in blue and underlined; click on it and it will open their website. If you find anything outdated or inaccurate, see the customer and farmer menus (as appropriate) at the top menu bar to submit updates and corrections and help me keep each current! 1502 W Mason, Green Bay, WI. Phone: 920-499-6671. Open: 9 to 5 pm Monday to Saturday, Apples, caramel apples, cider, frozen cherries and raspberries, honey, jams and jellies and maple syrup. 1670 Mar-El Road, DePere, WI. Phone: 920-336-0667. Email: [email protected]. Open: Monday - Saturday 9am - 4pm, Sunday 10am - 3pm; during season, September to Thanksgiving. Fresh picked and pick-your-own apples. Also pumpkins and crafts. Payment: cash, check, only. Rain or shine, picking your own apples is always the best way to go. Bring out the kids, grandkids, nieces, and nephews. We have 18 varieties of apples to choose from at Apple Valley Orchard LLC. You and your family will have a blast and go home with a bushel of fresh, juicy apples to nosh on. Enjoy our orchard on both weekend and weekdays. On weekends, jump aboard one of our trams to bring you out to the orchard. 2556 School Lane, Green Bay, WI 54313. Phone: 920-655-0483. Email: [email protected]. Open: Call For Hours. Directions: Click here for a map and directions. Payment: Cash, only. Click here for our Facebook page. We are a family friendly zone offering 'pick-your-own' strawberries, a petting zoo, and various activities throughout the year. Bring the family and come check us out!. They may still have PYO blackberries, raspberries (red), but I haven't confirmed this. Click here for a link to our Facebook page. 3439 Lineville, Green Bay, WI 54313. Phone: 920-434-0730. Directions: 41 north to Lineville exit west on Linville 4 miles on right. Crops are usually available in June, July, August, September, October. Open: Monday to Sunday 7 am to 8 pm. Payment: Cash, Check. Click here for a link to our Facebook page. 1922 Oak Road, Suamico, WI 54313. Phone: 920-434-9009. Open: every day except Saturdays, from 6:30 am to 8 pm in the summer. Open from the first produce in spring to the last produce in fall. Directions: See their website for directions. Payment: Cash, only.. For over 30 years this family farm has been growing and selling their produce including the best asparagus, strawberries, corn, plus all the rest. As stated on their website, they use biological farm practices. They care a great deal about the soil and nutrients. Come on out on Sunday and pick. We are closed every Saturday, but will reopen Sunday morning at 7:00 a.m. in 2015, Asparagus will be $1.40 a pound. Click here for a link to our Facebook page. A visitor writes on July 07, 2014: "Excellent"
N 2963 Lakeshore Dr, Chilton, WI. Phone: 920-849-2158. Email: [email protected]. Open: 7 days a week from September 1 through October 31. Hours 9 to 5 daily. Also visit the Farm Market for fresh-picked apples, squash, jams, jellies, syrups, mustards, caramel apples, spices, frozen cherries, popcorn, sweet cider, hickory nuts, honey and much more. Lookout Loft features a panoramic view of Lake Winnebago and includes crafts and collectables. Picnic at Hawthorne Hollow. Fire pit and tables available. Raised for quality - harvested for peak flavor and crispness - sold fresh at affordable prices. 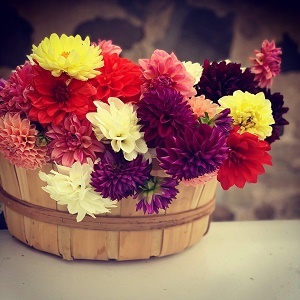 Pick your own or choose your favorite from 20 different varieties in our farm market. Free samples are always available . N3040 Hwy 151, Chilton, WI. Phone: 920-849-9308. Open: 9 to 5 daily during season, August to October. Fresh picked and pick-your-own. Apples, caramel apples, honey, jams and jellies, maple syrup, popcorn, pumpkins, squash and gourds, crafts. N2564 Highway 151, Chilton, WI 53014. Phone: (920) 849-7816. Email: [email protected]. Open: Corn Maze, Activity Area and Hay Rides Monday to Thursday 9:00 am to 6:00 pm Friday 9:00 am to 10:00 pm Saturday 10:00 am to 10:00 pm Sunday 10:00 am to 6:00 pm. Click here for current open hours, days and dates. Picking updates: Click here for picking updates. Directions: Located 1/2 mile north of Brothertown on Highway 151. We are 16 miles south of Appleton, 16 miles north of Fond du Lac; 10 miles west of Chilton and 45 miles south of Green Bay. Coming from Milwaukee, take Highway 41 north to Fond du Lac, take Highway 151 north exit. Follow highway 151 north to farm. Click here for a map and directions. Maple Syrup: March 1 till sold out Strawberries: June 15 to July 15 apx; Sweet Corn: July 20 till August 20 Corn Maze: September 11 till October 31. We use integrated pest management practices. Payment: Cash, Check, Debit cards, Visa/MasterCard, Discover. Onsite radio broadcasts are done each Saturday throughout the maze season. Activity area includes duck races, giant 80 foot tube slide, pumpkin launchers and the corn (sand) box. All hayrides are one half hour in length or longer and are educational. W3190 County Road B, Hilbert, WI 54129. Phone: 920-989-3130. Fax: 920-439-1499. Email: [email protected]. Directions: Three miles East of Sherwood, WI on County Road B. Click here for a map and directions. Crops are usually available in October. Open: Visit us in Spring, Summer and Fall. Days and hours of operation vary by season. Call us or visit our website for detailed information. Payment: Cash, Check. Mulberry Lane Farm offers an ideal country learning environment where people of all ages can interact with farm animals. We provide hands-on experience to educate children and adults about farm animals. Mulberry Lane Farm offers guided tours geared toward the specific age level of your children. A chance for everyone to milk a cow. Visit our sow and her liter of piglets. Hand feed the goats and sheep. Visit the "Little Critter Barn" and hold a baby chick, duckling, kittens & bunnies. Picnic areas for those bringing a lunch. For the price of petting farm admission you will have a hands-on guided tour of the farm. After the tour we invite you to re-visit the animals and enjoy the farm at your leisure. Self-guided tours on fall weekends allow you the pleasure of touring the farm at your own pace as our farm educators greet you at many of our most popular pens. You will also have a chance to: Milk a Cow, Catch a Chicken, Kiss a Pig, Cuddle a Kitten, Hand feed Goats and Sheep, Ride a Pony, Enjoy a Hayride and More! Pick your own pumpkin in Fall. We also have: Picnic areas for those bringing a lunch. Beverages, snacks and souvenirs for purchase in The Granary. Gift Certificates and Annual Passes. N4367 highway 57, Chilton, WI 53014. Phone: 920-849-4819. Email: [email protected]. Open: 7 days a week 8:30am to 5:30 pm, Tuesday and Thursday till 6:00pm May 1st through October 31st. Directions: 1/2 mile north of Chilton, WI on highway 57/32. Click here for a map and directions. Payment: Cash, Visa/MasterCard. Click here for our Facebook page. 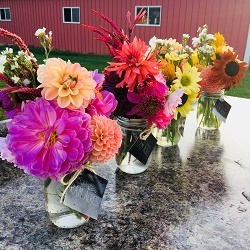 Polly's Pumpkin Patch offers Northeast Wisconsin residents so much more then fresh berries, produce, sweet corn and vegetables, grown right here and harvested every day! We also specialize in Wisconsin Cheese, Door County products, local honey, crafts and much much more! 2208 Wildwood Road Intersection Highway 42 & Wildwood Road, Sister Bay, WI 54234. Phone: 920-854-2481 . Email: [email protected]. Directions: 1/2 Mile north of Sister Bay, Wisconsin at the intersection of Highway 42 & Wildwood Road. Open: 9:30 - 6:00 seven days a week Mid June through October Payment: Cash, Check, Visa/MasterCard. Fresh produce, plums, strawberries, raspberries, pumpkins, fresh and dried flowers. Homemade bakery, candies, jams, pie filling, pickles, and other specialty foods. Our Farm Market is located in restored migrant pickers shack. 7525 Cherry Lane, Sturgeon Bay, WI 54235. Phone: 920-856-6864. Open: Apples Friday - Sunday 10:00 am to 6:00 pm During the week by appointment; Late September through October; Cherries available mid July through mid August, everyday 8:00 am to 5:00 pm. Click here for current open hours, days and dates. Picking updates: Click here for picking updates. Directions: Click here for a map and directions. Payment: Cash, Check. Click here for our Facebook page. Follow us on facebook for current updates. 8240 Hwy 42, Fish Creek, WI. Phone: 920-868-3067. Open: all year 7 days a week. 8 am to 8 pm during summer and fall, 9 to 5 pm in winter. Apples, cider, jams and jellies, maple syrup, popcorn, pumpkins, some crafts. Pick-your-own apples. Tart cherries: frozen pitted, wholesale and retail, cider, jam and jelly, canned, dried. Pick your own in season. Shipping world-wide. Accepting Visa, MC, Discover. Hwy 42-57 S, Sturgeon Bay, WI. Phone: 920-743-2775. Open: 7 days a week. Hours 8 - 6 pm and pick-your-own during cherry season. 8 to 5 pm during apple season, no pick-your-own. Apples, apple cider, cherry cider, gift baskets, honey, jams and jellies, maple syrup. Cherry pie and apple pie. 8678 County Road C, Sturgeon Bay, WI 54235. Phone: 920-824-5625. Email: [email protected]. Open: Strawberry Pick Your Own from 7 am to 11am; seven days a week, Strawberries from June 11 to July 1. Directions: Call for directions. Payment: Cash, only. Click here for our Facebook page. One-half mile S of Fish Creek, WI. Phone: 920-868-3479. Open: daily 8:30 am to 6 pm from May 1 to October 31. Winter hours are Friday to Mon 9 to 4 pm. Featuring fresh hand-picked fruits, homemade preserves, Wisconsin cheese, antiques and a variety of homemade Door County products and gifts. Fresh pies baked daily. Frozen and dried cherries, as well as pick your own cherries, apples and raspberries. Free samples of our award- winning wines. Select from a variety of fresh pressed ciders and premium beers. Fine wine accessories. Seasonal tours 11 am, 1 pm and 3 pm. Phone: for tour information and to reserve group tours. Raspberry Rowe's - CLOSED - UPDATE August 10, 2017 - The owner reports they have closed. 841 Sandhill Court, Brussels, WI 54204..
2575 Shiloh Road, Sturgeon Bay, WI. Phone: 920-743-1351. Open: 7 days a week, an operation from home. Mid July to mid August tart cherries. Mid August to Christmas for apples. Also pick-your own cherries mid July to mid Aug; apples mid August to mid October. 3482 Cty E, Baileys Harbor, WI. Phone: 920-868-3992. Open: July and Aug: Daily 10 am to 5 pm. June, September and Oct: Friday, Saturday and Sunday 10 am to 5 pm. Cherries, pick-your-own cherries and apples in season. Frozen cherries, apple cider and cherry juice. Jams, jellies, honey and syrups. W853 County Road B, Campbellsport, WI 53010. Phone: (920) 477-3007. Email: [email protected]. Open: June 1 'til Thanksgiving; Tuesday thru Sundays 10 am to 6 pm; Closed Mondays. Directions: Located south east of Fond du Lac; east of Eden, west of Plymouth; in the town of Armstrong on county road B. We grow and sell apples that are picked or u pick. We also sell our fresh pressed cider (UV filtered but not pasteurized), caramel apples and bakery (primarily pies and apple crisps). Other products include raw honey from the bees at our orchard and fruits grown in season e.g. plums, peaches apricots. Our apples are "ecco" (advanced IPM) and we focus on nutrition to keep our apples healthy (includes fish and seaweed applications). Activities include apple sling-shot, picnic areas, labyrinth and other family games. Apple vareties: Cameo, Cortland, Empire, Gala, Honeycrisp, Jonagold, Jonathan, McIntosch, Rubinstar, Red Delicious, Yellow Delicious. Other Fruit: Peaches were planted in 2007. N 7857 highway 151, Fond Du Lac, WI 54935. Phone: 920-923-3614. Open: 10 am to 3 pm daily until the grapes are gone. Directions: The vineyard is located just north of Do It All Sports, N7857 Highway 151, on the east side of the highway past Peebles. Click here for a map and directions. We do not use pesticides on the crops. Payment: Cash, only. $1 per pound. All proceeds from the sale of the grapes are donated to Amyotrophic Lateral Sclerosis (Lou Gehrig's Disease) research. Harry Horner, Ann's former husband, planted and nurtured the vineyard until his death from ALS in 1990. N9438 Hwy 151, Malone, WI 53049. Phone: 920-921-4784. Email: [email protected]. Open: See their website for changes; Hours early Aug. through October 31st, Monday to Friday, 8 am to 6 pm; Saturday to Sunday, 10 am to 6 pm; Hours for November 1st through November 30th: Closed Monday, Closed Thanksgiving Day; Tuesday to Friday, 8am to 5 pm, Saturday to Sunday, 10 am to 5 pm. Directions: Ten miles N of Fond du Lac, WI. Click here for a map. Pumpkins are sold as a "pick-your-own" crop and already picked. You can grab one of our little red wagons near the parking lot "wagon corral" and hike to a field for a true pumpkin seeking adventure. On weekends, there is a free tractor pulled wagon ride you can board at the "U-Pick Checkout" (near the parking lot). That wagon runs from 10am to 4 pm (weather permitting) and will take you and pick you up at a pumpkin field. The size of the pumpkin you choose determines the price. Apples, cider, homemade baked goods, caramel apples, cranberries, honey, jams and jellies, maple syrup, peaches in season, popcorn and pumpkins. Craft barn. Hayrides on weekends. School and bus tours welcome. apples and pumpkins. W2771 Century Drive, Campbellsport, WI 53010. Phone: 920-533-8820. Email us at: [email protected]. Directions: from Fond du Lac: Hwy V south through Campbellsport. We are located 1 mile south of Campbellsport. Turn right off of Hwy V onto Century drive. >From West Bend: Hwy 45, through kewaskum. Turn left onto Hwy V. Go approx. 4.5 miles, turn left onto Century Drive. Watch for our sign on Hwy V. Click here for a map and directions. Crops are usually available in June, July, August, September, October. Open: strawberry season: Open: daily 7 am to 5 pm. May possibly have a twilight picking night. Call hotline for information in June. Raspberry season: Prepicked and pyo by appointment only. Call hotline in early August to set up an appointment. Strawberries: Mid June-Early July Raspberries (red): prepicked: Aug-Oct, PYO September to October. Payment: Cash, Check. E2237 Hwy 54, Casco, WI. Phone: 920-837-7440. Email: [email protected]. 25 different varieties of apples. Open: Labor Day thru Mid December: Labor Day thru Halloween, Monday to Saturday from 8 to 5, Sun 10 to 5; Halloween thru Thanksgiving, Monday to Friday 8 to 5, Saturday from 8 to 3, Sun 10 to 3; Thanksgiving to Mid December, Monday to Friday 8 to 5, Saturday from 8 to 3, Closed Sundays. Hwy 57 4 miles N of Dyckesville, right on Cedar Road, 1 mile to Circle Road, left to orchard, WI. Phone: 920-866-9502. Apples only. You-pick and fresh picked. 18215 Pleasant Road, Maribel, WI 54227. Phone: 920-863-6778. Email: [email protected]et. Open: Monday - Sunday 7 am to 7 pm; Do call to confirm that we are open. Directions: From Green Bay I43 South to KB exit. Turn left on KB to four-way stop on County R. Turn right on County R for 3 miles. Strawberry field located on Pleasant Road. Watch for signs. Click here for a map and directions. Payment: Cash, Check. Click here for our Facebook page. 22608 US Highway 151, Chilton, WI 53014. Phone: 920-775-3696. Email: [email protected]. Open: Monday - Friday 7am to 7 pm Saturday - 7am to 3 pm Sunday - 9 am to 3 pm. Directions: We are located 8 miles east of Chilton on highway 151. Click here for a map and directions. Strawberries Mid June - Mid July. Payment: Cash, Check, Debit cards, Visa/MasterCard. Click here for our Facebook page. Join our CSA program for fresh produce all summer every week!. In Mid June, we welcome the delicious taste of sweet, juicy strawberries. You may pick your own or have us pick them for you. The remainder of the season we harvest and sell all kinds of produce at our farm store and local farmers markets. 22608 Hwy 151, Chilton WI 53014. Phone: 920-775-3696. U-pick or ready-picked available by orders. Phone: for conditions. Also: prepicked Michigan blueberries and peaches. Open: Monday to Friday from 7 am to 7 pm; Saturday from 7 am to 3 pm and Sunday from 9 am to 3 pm; typically from mid-June to early July. Directions: Located between Manitowoc and Chilton on Hwy 151. W7757 Wisconsin Avenue, Hortonville, WI. Phone: 920-757-6187. Open: Daily 9:00 am to 6:00 pm - Sundays 10:00 am to 5:00 pm from August while apple crop lasts. Apples, honey, jams and jellies, maple syrup. Pick your own and prepicked. We offer Pick-Your-Own or Prepicked Apples. Apple Syrup - Pumpkins - Honey - Jams & Gift Baskets, Squash & Gourds. We are a family run orchard located just 5 miles west of Appleton, WI. Our first trees were planted in 1972. There are presently over 300 trees of all sizes and 15 varieties. N2299 Ledge Hill Road, Hortonville, WI. Phone: 920-779-6372. ALternate phone: 920-779-4788. The Farm Hotline has up-to-date information on conditions and availablity. The number is: 920-779-4788. Strawberry Harvest is from mid-June until mid-July. U-Pick or We-Pick, sold by the pound if you pick, or by the quart if we pick. Picking times are 6:30am-6:30pm. Due to weather and crop conditions picking times may vary. Always call ahead for picking conditions. Children are welcome. Take a free wagon ride to the field. Picking containers are funished free. Pumpkins are available the last weekend of September and all weekends in October. Saturdays & Sundays from 10am-5pm. Offering a "Pumpkin Picking" ride to the field to pick a pumpkin of your choice, mini pumpkins, gourds, and colored corn. Or purchase our pumpkins and fall products from our shed. Enjoy our round-bale climbing area, a straw-bale maze, a sorghum grass maze, a straw catepillar, and a straw slide. Family fun for everyone! During the weekdays and week nights in October we are open for large groups by appointment only. Please call the Farm Hotline for reservations. Click here for our Facebook page! W 3964 Wege Road, Appleton, WI. Phone: 920-734-0780. Email: [email protected]. Open: MONDAY-FRIDAY 9:00AM-6:00PM, SATURDAY 9:00AM-5:00PM, SUNDAY 10:00AM-5:00PM. Apples, apple cider, honey, jams and jellies, maple syrup, popcorn, pumpkins. Pick your own. Formerly Schabo's Hillside Orchard . W4314 State highway 156, Bonduel, WI 54107. Phone: 715-758-8162. Open: Click here for current open hours, days and dates. Picking updates: Click here for picking updates. Directions: Click here for a map and directions. Payment: Cash, Visa/MasterCard. You can stop out and pick your own from the fields or purchase pre-picked fresh fruits and produce when in season at the Farm Store. Visit us during our Farmtoberfest celebration in the fall, a favorite time of the year. On Cty KK 1-one half miles E of SR 441. 1 mile E of Cty N, 1 mile W of Hwy 55, WI. Phone: 920-733-6739. Email: [email protected]. Open: 10 am to 6 pm seven days a week from mid-August to end of October. Apples, pears, plums, pumpkins. Also pick-your-own apples and pumpkins. 253 Highway CE, Kaukauna, WI 54130. Phone: 920-759-9294. Email: [email protected]. Open: Monday to Friday, from 9 am to 6 pm; Saturday from 9 am to 5 pm; Sunday from 10 am to 5 pm, September 1 to October 31. Directions: From Green Bay, take Highway 57 South. Approximately three miles past Greenleaf, turn right on Z, go approximately 3 miles, turn left on D, go approximately 1.4 miles, turn right on CE, go 1/2 mile to orchard. OR take 41 South to 55 South through Kaukauna. At the roundabout, take CE East approximately 4.5 miles From Appleton, take CE east straight to the orchard which is approximately 4.5 miles east of Kaukauna. Click here for a map and directions. Payment: Cash, Check. Click here for our Facebook page. In addition to apples, our salesroom has honey, jams, jellies, salsa, salad dressings, mustards, maple syrup, and caramel apple toppings. This year we have added popcorn from End-of-the-Trail Candy Shoppe and dip mixes. Our bird population has inspired us to make bird seed available also. We often have cider and caramel apples - first come, first served! 3322 Hwy 32, Sheboygan Falls, WI 53085. Phone: 920-564-2944. Alternate phone: 920-564-6026. Open: mid-July through winter; From Labor Day till Thanksgiving we are open regular business hours plus Sunday noon to 4 pm. Please contact for other times of the year. Apples, apple cider (non- pasteurized), blueberries, cherries, chickens (natural fed, free range), crafts, cranberries, gift baskets, gourds, peaches, veggies in season. Wagon rides and pick your own apples on Harvest Weekends ; the last two weekends of September in 2001. Voted best apple cider in 1993, 1999 and 2000 by Wisconsin Apple Growers Association. Best in 1996, 1999 and 2000 at Stateline Fruit Conference. N4797 County Rd E, Plymouth, WI 53073. Phone: 920-893-6073. Email: [email protected]. Directions: SW of Plymouth, WI 3/4 mi South of STH 67 on CTH E or 3.5 mi North of STH 28 on CTH E. Crops are usually available in August, September, October. Open: Please call ahead. Payment: Cash, Check. Fresh non-pasteurized cider, Apple Syrup, Maple Syrup, Apple Butter, and Honey. Strojny Orchard - Apples, peaches and pears. W2160 Smies Road, Oostburg, WI 53070. Phone: 920-668-6481. Open: Monday to Friday 7:00am to 7:00pm Saturdays and Sundays 7:00am to 5:00pm; Open 7 Days a Week;Times subject to change. Click here for current open hours, days and dates. Picking updates: Click here for picking updates. Directions: W2160 Smies Road Oostburg, WI 53070. Click here for a map and directions. Payment: Cash, Check. Selling already picked strawberries, sweet podded peas,. Call for exact prices. There is a discount coupon on our website. Also selling small square bales of hay and straw. We have easy picking in our strawed rows. Berries can be picked from both the right and left sides of the rows. Please stay in your assigned row. An employee can give you another row after you have finished. Any questions you have can be directed at an employee stationed at the beginning of the field. If you would like pre-picked strawberries, they are available in the check-out building. We also send vehicles to various locations with our pre-picked berries. 860 Sundstein Road, Eagle River, WI. Phone: 715-479-4506. Email: [email protected] . 125 County Road CB, Neenah, WI 54956. Phone: 920-725-1541. Email: [email protected]. Open: Monday to Friday, from 7 am to 6pm; Saturday and Sunday, from 7am to 5pm. Click here for current open hours, days and dates. Picking updates: Click here for picking updates. Directions: Click here for a map and directions. Pick your own strawberries begin in Mid-June; Pick your own raspberries begin in early July. We minimize use of pesticides and other chemicals. Payment: Cash, Check, WIC Vouchers. 476 HWY E, Ripon WI 54971. Phone: 920-748-3005. Email: [email protected]. Directions: click here for a map and directions. Vines & Rushes Winery is open. There are currently 16 wines available for tasting and purchase. You can check the Vines & Rushes website for hours and information at www.vinesandrushes.com.